We provide many HIV tests each week, allowing individuals to know their status and, whether they are HIV-positive or -negative, look after their health appropriately. Why not take the test yourself using our postal home testing service, HIVTestUK. 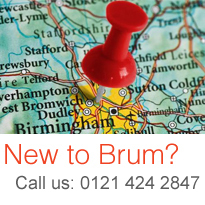 If you live outside of Birmingham, you can find your nearest clinic using the NAM clinic finder here. HIV is usually diagnosed by a simple blood test. It is estimated that one in four of those living with HIV in the UK do not know they are infected. That means they cannot access life-saving treatment – and may be infecting their partners unknowingly. Indeed, half of all those diagnosed with HIV in 2013 were diagnosed late. Late diagnosis is associated with poorer outcomes, however: increased mortality, for instance, as well further and additional complications. At the Birmingham Heartlands HIV Service, we are dedicated to prompt HIV testing and diagnosis, as a means of improving patient outcomes and reducing transmission. A negative test is an opportunity to learn how to stay safer in future; a positive test is the first step to getting onto the treatment which can keep you healthy long into the future. HIV presents in a variety of stages, and we undertake a number of diagnostic tests to establish a patient’s particular stage and craft a treatment plan appropriate to their diagnosis. Following a positive result, we provide extensive personal and social support to ensure that what can often be traumatic news can be processed and dealt with effectively. We campaign for wide adoption of HIV testing, including the routine testing of individuals identified as ‘at risk’ of contracting HIV. In addition, and especially given the high prevalence in Birmingham (around 4 in 1000), we recommend that all men and women admitted for care in hospitals, and all new GP registrations, should be provided an opt-out HIV test. We also advise local authorities on service design, on the basis of our detailed knowledge of local HIV demographics. We are dedicated to testing and diagnosis as a tool for improving patient outcomes and reducing onwards transmission. We therefore record all necessary metrics – such as the rate of late diagnoses, documented offers of HIV tests, and also documented results, in both secondary and primary care contexts, and the window between tests and results. This information-gathering enables us constantly to review and improve our service – and increase the take-up of testing whilst improving patient experience.